It’s our distinct pleasure this week to shed a tear, grin a big ‘I told you so’ grin, shiver a shudder, and then tip our pompadour coiffure, for one of the acknowledged greats of the rock and roll idiom, the guru of the Gothic groove, Mr. Roy Orbison (1936-1988). Roy grew up with the same rockabilly roots as his Sun Records stablemates Carl Perkins, Jerry Lee Lewis, Johnny Cash, and Elvis Presley; but he made his mark with a string of melodramatic, theatrical hits in the early 1960s, the only American to stave off the hegemony of the British Invasion. Although he was a pleasant young man with a sense of humor, he suffered from acute stage fright, and developed a dark and brooding persona, clothed in black, hidden behind thick, dark glasses. But the image was only the wrapping for Orbison’s real talent, his quavering quasi-operatic voice singing melodramatic narratives of unrequited love and yearning. In many of them, the protagonist is a loser, heartbroken, hopeless, who as often as not is rescued by fortune from his fickle fate. 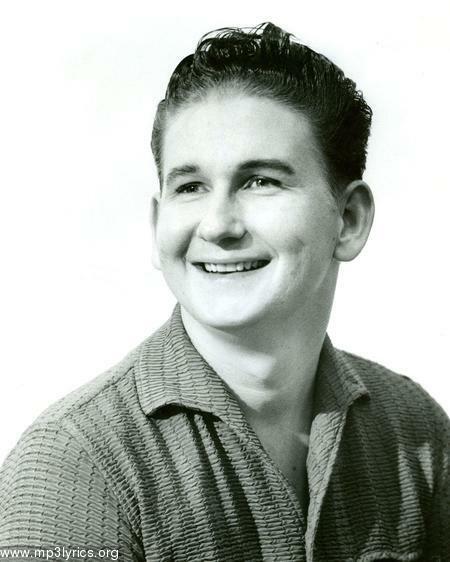 He had his first minor hit in 1956 with ‘Ooby Dooby’ for Sam Phillips’ Sun Records, but failed to capitalize on it. In 1958, his song ‘Claudette’ (written for his young wife, about whom we’ll hear a lot more later) was recorded by The Everly Brothers as the B-side of ‘All I Have to Do is Dream’. He struggled for several years in poverty, writing songs in the car because his wife and infant son filled their small apartment in Hendersonville, Tennessee. In 1960 he was finally signed by Monument Records and had the great fortune to be coupled with a visionary producer, Fred Foster. He offered his song ‘Only the Lonely’ to pals Elvis Presley and the Everlies, but they turned it down. Roy and Foster recorded it, and it hit #2 in the US. When Presley heard ‘Only the Lonely‘ for the first time, he bought a box of copies to hand out to his friends. Elvis, by the way, called Orbison “the greatest singer in the world”. Here’s a recording of Elvis introducing Roy and then singing ‘Running Scared’, followed by Roy singing ‘Don’t Be Cruel’ and ‘Hound Dog’. 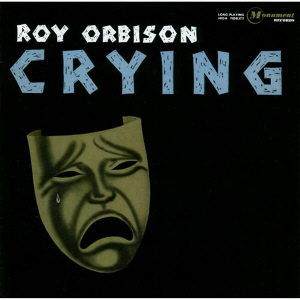 In the years 1960-65, Orbison and Foster had 15 Top 40 hits, including tough, swaggering cuts such as ‘Dream Baby’, my recent favorite ‘Candy Man‘ and the Ray Charles-inspired ‘Mean Woman Blues’, but most memorably by the wrenching operatic dramas of the perfect ‘Crying,’ ‘In Dreams‘ (here from David Lynch’s warped movie “Blue Velvet”), ‘The Crowd’, ‘Falling’, ‘It’s Over,’ ‘Love Hurts‘, ‘Blue Bayou‘, and culminating with our Song of The Week, ‘Pretty Woman’. In May 1963, Roy accepted an invitation to tour England on a bill with The Beatles, who were unknown in the United States at that time. The tour was sold-out in one afternoon. On the first night, Roy did fourteen encores before The Beatles could get on stage. Roy: “I messed up the first day I got there. I walked out in this little theatre and they had Beatle placards everywhere, life-size ones. And I said, ‘what’s all this? What is a Beatle anyway?’ John Lennon said, ‘I’m one’. He was standing right behind me.” But Lennon and Orbison became quite friendly, although Roy’s relationship with George would prove more enduring. According to Orbison, it took them half an hour. Dees describes the song thus: “From the moment that the rhythm started, I could hear the heels clicking on the pavement, click, click, the pretty woman walking down the street, in a yellow skirt and red shoes. We wrote ‘Oh, Pretty Woman’ on a Friday, the next Friday we recorded it, and the next Friday it was out. It was the fastest thing I ever saw. Actually, the “yeah, yeah, yeah” in ‘Oh, Pretty Woman’ probably came from The Beatles.” It was recorded on August 1st, 1964. It was on the charts for 14 weeks, at #1 for three, and sold seven million copies in 1964 alone! Chet Atkins called it “best rock & roll record ever made”. Fred Foster mentions that a tenor sax and a baritone sax are both ‘buried in the guitar mix’ in an effort to fill out the sound. One critic wrote: “This is one of the very few songs to have all six recognized hooks: great intro, catchy tune, a repeated phrase, interesting story, good rhythm, sound effects. The simple heavy beat here simulates the beat of his and her walk (2 to a bar), because when he stops and she stops, the beat dies away.” Hmm. 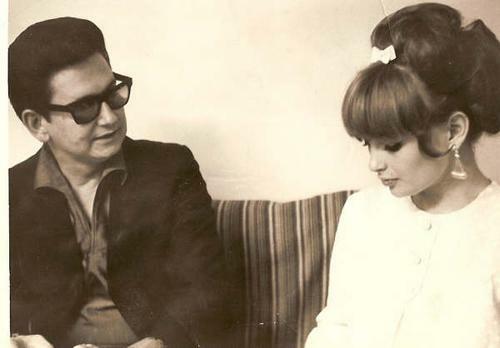 ‘Oh, Pretty Woman’ was almost Orbison’s last hit before his personal life became unraveled. In 1965, Claudette discovered he was cheating on her, and they were divorced. In 1966, they remarried. On June 6, Roy and Claudette were riding their motorcyles when a truck pulled out in front of her. She died in his arms an hour later, aged 25. On September 14, 1968, while Orbison was on tour in England, he received a call that the Orbison family home at Old Hickory Lake in Hendersonville, Tennessee had burned to the ground. His two older sons, Roy Jr. (b. 1958) and Anthony (b. 1962) died in the fire. His youngest son, Wesley, aged three, was saved by Orbison’s parents. Roy’s close friend and neighbor Johnny Cash bought the lot from him. 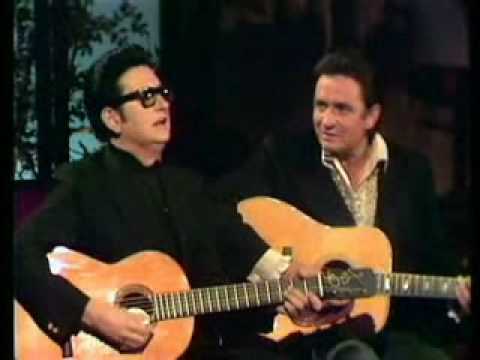 Here’s Johnny Cash talking about Roy Orbison (“He was so meek and so shy, but he could really stand and deliver”), and here they are singing ‘Pretty Woman’ together. It’s a shame they didn’t rehearse it in order to be able to do it in harmony; it could have been stunning. Ten years later, the house that Cash built there burned down as well. Over the next 20 years, Roy had his ups and downs. He remarried a German teenager he met a couple of days before the fire, and they had two sons together. Musically, Roy languished in a few mediocre attempts to record. Here’s a clip from those doldrum years of Roy performing on Japanese TV. The scene pales “Lost In Translation” in its bizarre accidental Occidental hero-cultiness: “Radies and gentremen, Loy Olbison!” Truly, a clip that must be seen to be believed. And even then, you may think you’re nightmaring. Then in 1987, he was inducted into the Rock and Roll Hall of Fame. In the initiation speech, Bruce Springsteen said, “I wanted a record with words like Bob Dylan that sounded like Phil Spector ­– but, most of all, I wanted to sing like Roy Orbison. Now everyone knows that no one sings like Roy Orbison.” Orbison said that he felt “validated” by the honor. A few months later, a tribute was organized for him in the form of a filmed concert at the Coconut Grove Ballroom in Los Angeles. 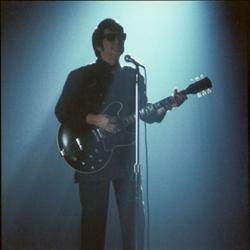 The DVD, “Roy Orbison and Friends, A Black and White Night”, sold 50,000 copies. 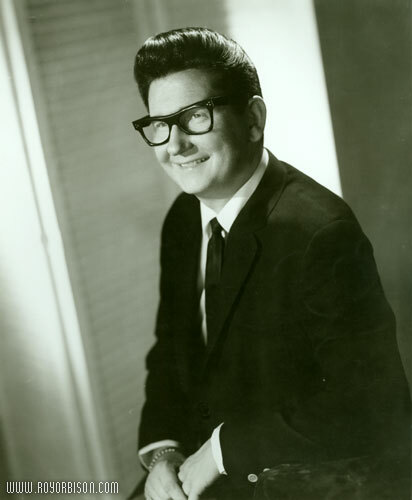 Orbison is backed by Elvis (Presley’s) band – Glen Hardin on piano, Ron Tuttle on Drums, Jerry Scheff on bass, and James Burton on lead guitar. Also pitching in were Springsteen, Jackson Browne, Elvis Costello, Tom Waits, J.D. Souther, T-Bone Burnett, Bonnie Raitt, k.d. lang, and Jennifer Warnes. The performance there of ‘Oh, Pretty Woman’ won the Grammy Award for Best Male Pop Vocal Performance. 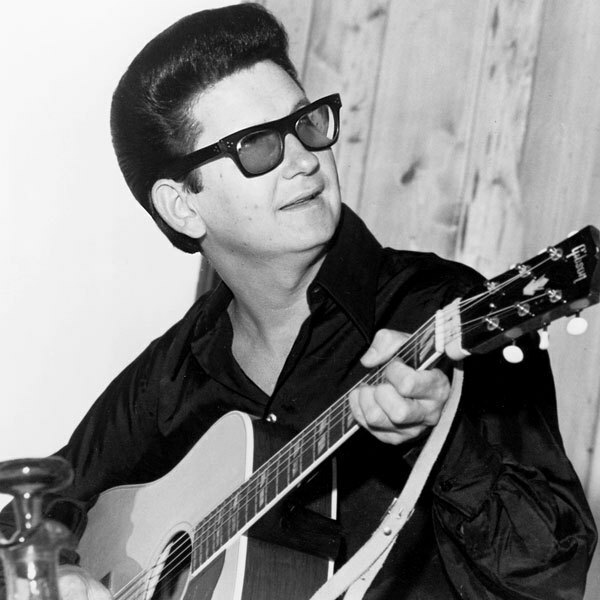 Orbison had been collaborating on a new album with Electric Light Orchestra frontman Jeff Lynne, who was producing George Harrison’s Cloud Nine. 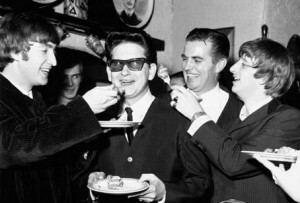 The three had lunch one day, and Harrison invited Orbison to sing on the album. They contacted Bob Dylan, who allowed them to use a recording studio in his home. Along the way, Harrison had to stop by Tom Petty’s house to pick up his guitar. By that evening, the group had written ‘Handle with Care’, which led to the concept of recording an entire album. 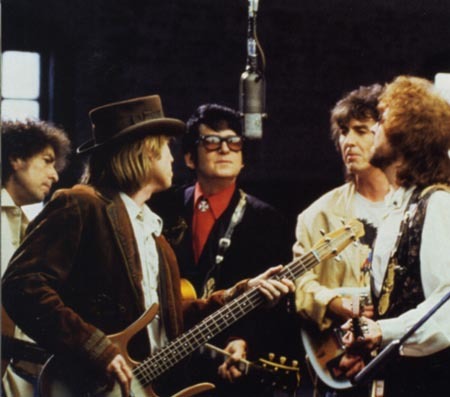 They called themselves the Traveling Wilburys, and the resulting album stayed on the US charts for a full year. In 1988, he recorded the album “Mystery Girl” with Lynne as producer and contributions from Bono, Elvis Costello, Orbison’s son Wesley, Lynne and Petty, and began touring again. During a break between tours, after spending the day flying model airplanes with his sons and having dinner at his mother’s home in Tennessee, he keeled over and died of massive heart failure. He was 52. In 1990, Julia Roberts and Richard Gere starred in the mega-hit romanitic comedy “Pretty Woman”, which took its title and much of its spirit from the theme song. Here’s a clip demonstrating how Julia Roberts became the quintessential Pretty Woman, fulfilling exactly the image Orbison and Dees had when they wrote it 25 years earlier. Here’s a nice live version from 1964. Here’s a live version from 1982. He hasn’t aged much over the 20 years, only the growl has gotten longer. Can you imagine being able to walk down any street in the world, from Nashville to New York, from Tokyo to Rome, and you just growl that growl and the most beautiful women in the world will drop at your feet? Move over, Richard Gere. To say that there were parallels between his musical dramas and his life would be too obvious. 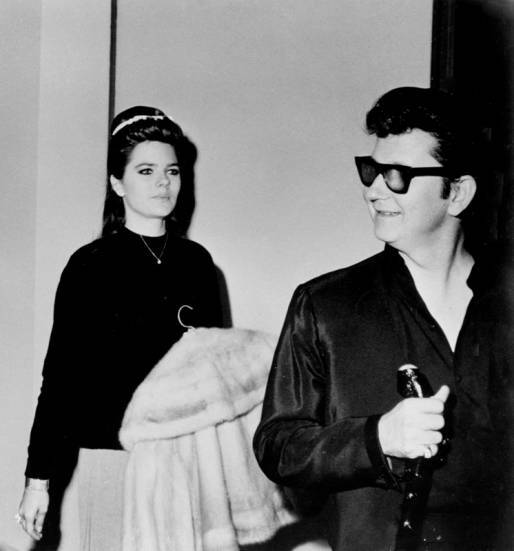 Let’s just say that Roy Orbison made some Monumental records, and we’re glad to have the opportunity to give him a bit of the credit due to him. That you look lovely as can be. Pretty woman, stop a while. Pretty woman, talk a while. Pretty woman, yeah yeah yeah. Pretty woman, look my way. Pretty woman, say you’ll stay with me. ‘Cause I need you, I’ll treat you right. If that’s the way it must be, okay. I guess I’ll go on home, it’s late. Yeah, she’s walking back to me! I tried, I really did. I admit it, I’m a philistine – I don’t care. Bring back Hermeto. Or Gilberto. Or even Stephan Stills. driving home from ashkelon after a coastal shabbat with the frams and bruce springsteen’s thunderoad comes on–“roy orbison singing for the lonely, hey it’s me and i want you only.” always loved that line. unpack the bags, turn on the computer and roy orbison is actually singing for the lonely. didn’t know about his sad biography but great songs and a great voice. Good article. I remember when I saw that Black and White Night how surprised I was that it was so lifeless considering all of the all-star talent on stage. Obviously not everyone agreed. I am writing a paper on “Oh, Pretty Woman” and would like to cite it. Sorry, Taylor, I have no idea. I wouldn’t have made it up, but I don’t see it in any of my usual sources. Out of my own little Pooh-brain.